Do You Have A Roof You Want To Make New Again? 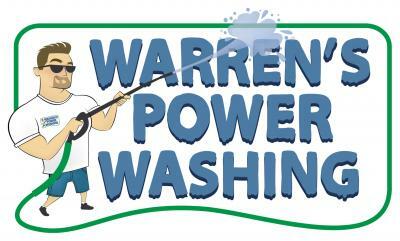 At Warren’s Power Washing we have learned and mastered the art of non-pressure roof cleaning services. From Ocala, Dunnellon, Belleview, Hernando We have cleaned hundreds of roofs in the Marion / Citrus County area. The only catch to cleaning a roof is that no matter how good it is clean you will never stop the black discoloration from reappearing unless you use a maintenance regime yearly. Ask for more details on all the services we offer. For many years, roof discoloration caused by algae has been observed throughout the United States and Canada. The discoloration usually has a brown to black appearance, and may be mistaken for fungus growth, soot, dirt, moss, or tree droppings. Using our Roof Cleaning Services doesn’t just change the appearance of your house or building but also saves you money. As your roof is turned black by the fungus , it becomes less reflective, and it retains heat; so your air conditioner works harder to overcome the increased heat load, costing money in electric bills and increased load on your air conditioning equipment. Our Manufacturer approved, non pressure chemical roof cleaning maintenance methods, are safe for your roof shingles and roof tiles, and long lasting. Unlike high pressure cleaning, our non pressure roof cleaning system actually kills and removes the discoloration on your roof. We are a Full Service Exterior Cleaning Company that services all of Ocala, Dunnellon, Hernando, Belleview, Lady Lake, Citrus and Marion Counties.